Video highlights of the recent weddings that are held at Villa Botanica. Watch the video clips on this page. 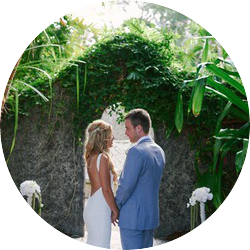 Experience a Sneak Peak Inside Real Weddings Held at Villa Botanica. Beautiful, amazing, out of this world.... I can go on forever. We'd love to help make your dream wedding come true! Click below to talk to us today.